Kufra tribes gather for the first time in almost seven years seeking peace and stability (Photo: social media). Kufra’s Military Zone Commander, Brigadier Belgasim Al Abaj had arrived in Kufra on 16 April and held a series of meetings with the town’s tribes and elders. 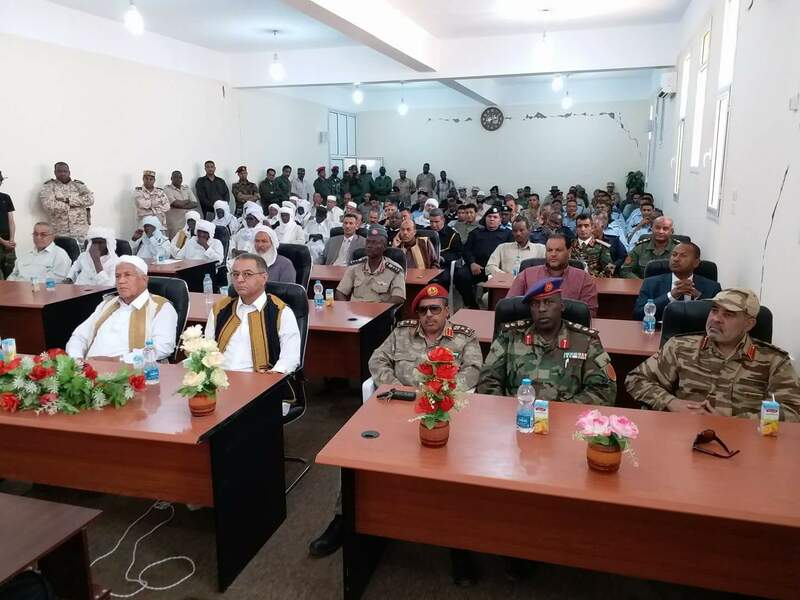 Al Abaj who is also from the Kufra Zuwai tribe, had been warmly received and welcomed by Tebus on 23 April at Kufra’s Tebu Gaderfay neighbourhood, where he had pledged to resolve the long Tebu-Zuwai standoff in the town. Following this, Kufra is now experiencing a period of relative calm and ease. At least two roads which had been closed since December 2015, the Dakhiliya road and Security Directorate road being re-opened on 24 April 2018.